Holywood Golf Club is the home club of Rory McIlroy Four times Major Champion, to date, first in the US-Open at Congressional in 2011 and followed with the US-PGA in 2012 at the Ocean Club, Kiawah Island with a score of 13-under. Rory captured The Open Championship at Hylake on 20th July 2014, with a wonderful score of 17-under to win by two shots. He won the US-PGA Championship at Valhalla on a rain-soaked Sunday with a 1-shot victory over Phil Mickelson on Sunday 10th August 2014. Our boy-wonder from Holywood Co. Down is starting to re-write the history of professional golf with his 3rd Major win at Hoylake Royal Liverpool on Sunday 20th July 2014, when he became the 1st European player to have won three of the four Majors and we all know he knows how to make his way around Augusta as proven in 2011 when he took a 4-shot lead into the final round. He has made an illustrious trio of Jack Nicklaus, Tiger Woods and himself as the only three to have won 3-Majors by the age of 25. On Wednesday 18th June 2014 Rory declared his intention to Represent Ireland when Golf is reintroduced to the Olympic Games in 2016, this has finally but to rest many a heated argument in Ireland. I first saw this young man win the West of Ireland Open Championship for the first time in 2005 at the tender age of 15 and I had been saying to people since “watch Rory McIlroy, he is our answer to Tiger Woods” I didn’t know then how right I may have been! 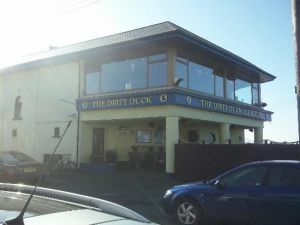 Golf Club is situated overlooking Belfast Lough. It combines stunning views with a course, which is always in top condition. It was established in 1904 and has matured and developed into a course which provides a challenge for every standard of golfer. The short 6th hole of 106 metres is named the Nun’s Walk and is well known and fondly remembered throughout the country by the many who have "holed out in one". In contrast to the 12th hole 389 metres is surely one of the most difficult par 4’s in local golf. The tee shot requires to be placed precisely on the fairway to allow the long approach to a green which is protected, by out of bounds to the right and a perilous drop to the left. A warm welcome awaits the visitor to this fine golf club. 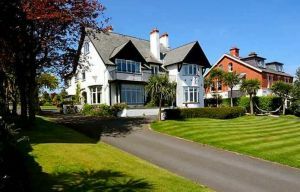 If you enjoy golf in less than 4 hours then Holywood is an ideal course for you. Its length is not challenging and for the average golfer, you will find plenty of opportunity to score well. 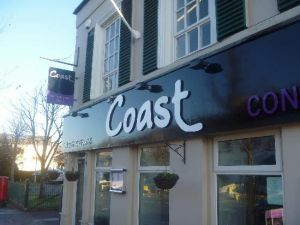 The front nine holes are ideal for a quick nine holes before or after work, it is a quick and easy walk and allows plenty of room for the golfer to spray it a bit off the tee. 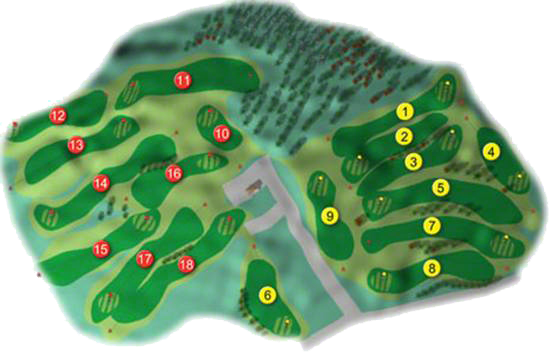 There are also three interesting par 3 holes which always help to tighten up your short game in a quick nine holes. However…..the back nine is laid out on different terrain with elevation changes and will challenge you all the way. 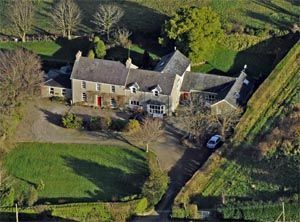 It will place emphasis on your adoptability to the terrain and course management decisions to create a good score, but if that fails to materialise you can enjoy the countryside walk and the magnificent views over Belfast Lough. Holywood has proved over the years that it is an ideal course to improve your short game and shot making skills. It has produced no fewer than five PGA Golf Professionals and one Golfing Superstar in the form of European and world touring professional Rory McIroy. At the time of writing Rory has just droped from No. 1 in the world golf rankings and I for one am sure that it wont be very long until he is back there. Who in their wildest dreams would ever have thought an Irish man would achieve World Ranked No. 1 Golfer, well done Rory. Rory states that" Holywood was a great course for me to learn the game on, it has all the traits that develop your game from playing it regularly. It helps you to learn to shape your shots, places emphasis on your short game and creates more versatile and adaptable golf game through the variety of different shots encountered. I have no doubt that the course helped me to become the golfer I am today". Rory joined the elite group of golfers who have become multiple Major winners when he added the US-PGA Championship at The Ocean Club, Kiawah Island, with a record winning margin of -13 par 8-shots ahead of his nearest rival David Lynn, on Sunday 12th August 2012. Having won his first Major at the Congressional Country Club in 2011, in the US Open Championship, with a run-away victory creating a new record when he returned a score of 268 around one of the worlds most challenging golf courses. 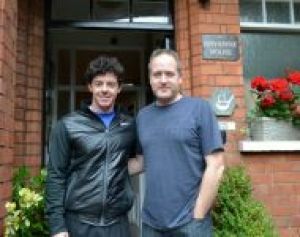 Since I first saw this young man win the West of Ireland Open Championship at Rosses Point in 2005 at the tender age of 15-years, I have been saying to anybody who cared to listen “Watch Rory McIlroy, he is Irelands answer to Tiger Woods” I’m delighted to see him prove me right and look forward to seeing him win many more Majors. The gogolfing Website would like to congratulate Rory McIlroy on being selected for the Ryder Cup Team that won against the USA in September 2010. The Girls’ of Holywood Golf Club won the Ulster Final of the Girls Interclub Championship and made there way to Massereene Golf Club to compete in the National deciders on Tuesday 26th August 2008. They met Leinster Champions Co. Louth Golf Club, the eventual green pennant winners in the All-Ireland Semi-Final and lost out by 2-matches to 1-match. They were led by Jessica Carty (8) who lost to Sarah Murray (5) by 3 and 1, she was followed by Siobhan Greene (12) who had a comfortable 5 and 4 win over Rebecca O'Reilly (22), in the bottom match Rebecca Tully (17) lost her match against Emer O'Shea (35) by 2 and 1. The gogolfing Website would like to congratulate Rory McIlroy on being selected for the Walker Cup Team that lost narlowley to the USA at Royal Co. Down Golf Club on September 8th and 9th 2007 and on being part of the victorious Irish Team that won the European Amateur Championship at Western Gailes on the Ayrshire Cost, on Saturday 7th July 2007, when they overcame a strong French team by 4 ½ matches to 2 ½ matches. Ireland had not won this Championship since 1987, the other members of the team were Jonathan Caldwell (Clandeboye Golf Club), Shane Lowry (Esker Hills Golf Club), Richard Kilpatrick (Banbridge Golf Club), Simon Ward (Co. Louth), well done lads and we will continue to follow your progress in the years to come. Congratulations to Rory McIlroy on adding the West of Ireland in 2006 and the Close Championship at the European to add to the West of Ireland 2005 and the Close Championship at Westport in 2005, a unique achievement and particularly for one so young (17 on the 4 May 2006). 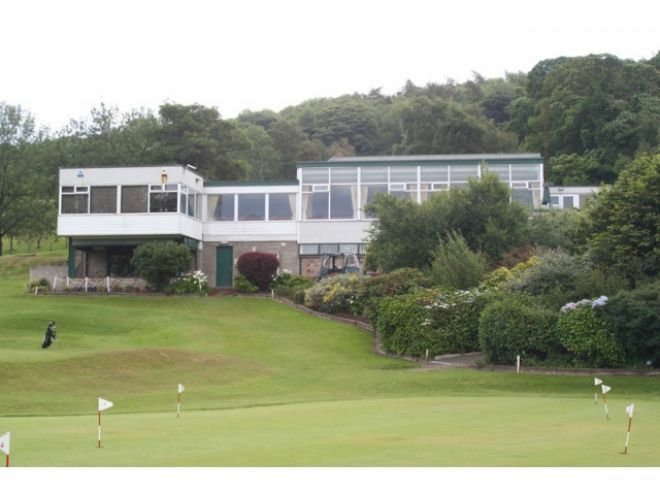 Holywood was the original site of the Royal Belfast Golf Club in 1881. It had to relocate in 1892 as the primary purpose of the land was as a military rifle range. Golf was revived at Holywood in 1904, when Mr. J. K. Stephen, the Captain in 1912, with other local gentlemen, leased land from Mr. Henry Harrison. Mr. Harold Reade, three times Irish Close Champion together with C. S. Butchart, the professional at Royal Co. Down, laid out the original nine-hole course. The club had 212 members in 1905 and had a surplus of £12.15 shillings. The club became a limited company in 1923 and bought extra ground for £6,000 and extended to eighteen-holes. A new clubhouse was built, which was burned down in October 1945, resulting with the loss of the early records. The first Captain was H. L. Garrett.